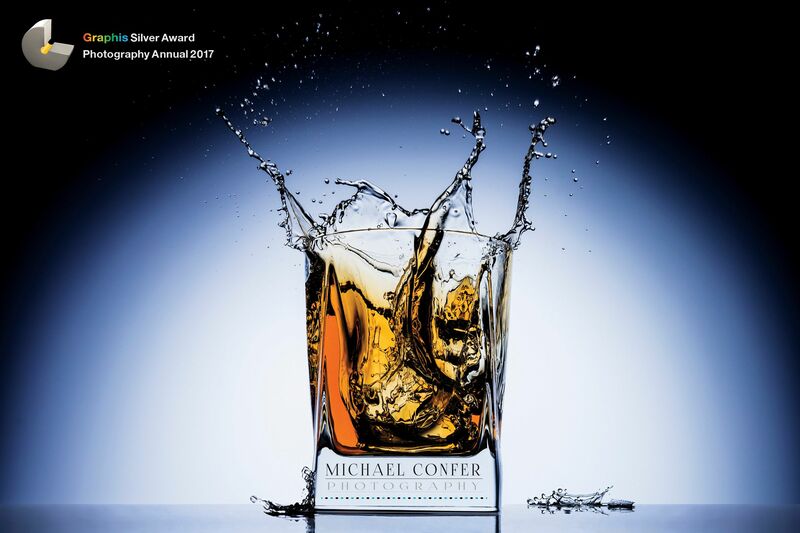 This Graphis 2017 Photo Annual Silver Award is for a classic image of a double old-fashioned glass of whiskey on the rocks. This beautifully clean image with its simple lines and high-energy splash was achieved with precise placement of strobe lighting and the perfectly-timed ice cube drop. The culmination of all these elements combined make this image scream energy.